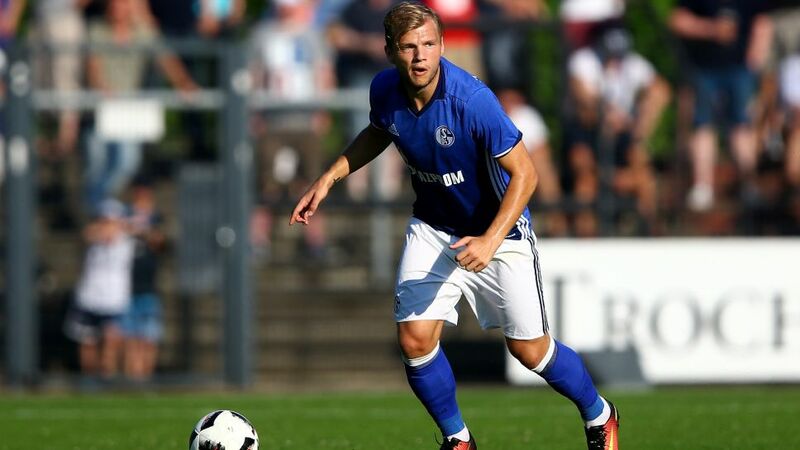 Johannes Geis has been in good form during pre-season and is confident of taking another step forward in his development in his second season with FC Schalke 04. “I’m feeling good,” said the 22-year-old, who scored a sensational free-kick in the Royal Blues’ 3-2 win over Athletic Club to add to the two assists he has racked up in recent weeks. Having signed from 1. FSV Mainz 05 last summer there was a lot of anticipation surrounding Geis’ performances in his first season with Schalke. Injury setbacks and a lengthy suspension did not help in reaching the lofty expectations placed upon him, but the midfielder is refusing to put too much pressure on himself ahead of the 2016/17 campaign. “I’m pleased just to have been able to take part in the entire pre-season,” said Geis. While Jerome Boateng can only speculate as to whether he will be fit in time to feature in FC Bayern München’s season opener against SV Werder Bremen, it appears Holger Badstuber and Douglas Costa are both on track to be available for new head coach Carlo Ancelotti. The rest of the squad were given a day off following their Supercup exploits against Borussia Dortmund, but in their bids to return to full fitness Badstuber and Costa both completed a strenuous session at the club's Säbener Straße complex. Ancelotti is unlikely to take too many risks with those returning from injury, including Arjen Robben and Renato Sanches, but the rumblings from within the Bayern camp suggest they are confident of having all their stars back for Matchday 2 following the international break. Things are on the up and up at 1. FC Köln. Their season opening took place on a gorgeous sunny Saturday afternoon in the Cathedral City, Jonas Hector and Leonardo Bittencourt have both signed long-term contract extensions and their undisputed No1 is doing his country proud at the Olympics in Brazil. Timo Horn’s involvement in Rio de Janeiro will see him miss his side’s opening game of the season in the DFB Cup against BFC Preussen, but head coach Peter Stöger will nonetheless have his fingers crossed on Wednesday. “We’re hoping that he [Horn] will be able to celebrate the ultimate success."